I woke up this morning with this refrain on my heart. I went to bed pondering some of the hard truths presented in the book of Judges struggling with how to write and share. Even through difficult circumstances, or things that seem incomprehensible to our 21st Century sensibilities, I am emphatically reminded that God is good, good, so good. The Bible was written for our edification - to help us. It does not contradict itself. When we choose to see things from a heavenward vantage point again it reinforces that God is good, good, so good and that man is not. 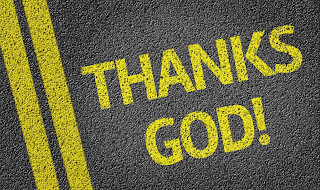 In spite of our not so goodness - God remains good, good, so good. Here's the song on my heart today as I ponder the all encompassing sovreignty of God and how he affects my little old life. It is my sincere prayer you can say with all sincerity, regardless of your circumstances, that God is good. If yes, just take a moment to type God is Good in the comments. Thanks. Amen! He is indeed so good! Thank you for the reminder of this beautiful song and your wonderful reflection to match! Thanks you for this reminder! So many times when hard circumstances come, I want to blame God. The devil would like nothing more than for me to blame God. I know God will work out everything for my good...and that IS good.